The Scottish electorate vote on the question ‘Should Scotland be an independent country?’ on Thursday 18th September 2015. The UK Government state that if a simple majority of the votes cast are in favour of independence, then “Scotland would become an independent country after a process of negotiations”. If the majority is against independence, then Scotland would continue within the United Kingdom (1). In addition, further powers would be devolved to the Scottish Parliament as a result of the Scotland Act 2012. This article looks at some of the drivers and barriers from a marketing and brand perspective. What are drivers and barriers to Scottish Independence? Scottish residents over the age of 16 are eligible to vote. According to the National Records for Scotland 4.1m people aged 16+ registered to vote (2). Though of nearly half a million EU citizens living in Scotland just 94k registered. 16-17 year olds also vote for the first time. This is the result of a political bargain or trade which suggests different benefits to the different political sides. Influencing starts with awareness of an issue or opportunity. Appreciating or rejecting an idea, engaging (and potentially interacting with other influences or influencers) then follows to reinforce or change voting intention and behaviour. Research in political science has traditionally ignored non-rational considerations in theories of mass political behaviour though a growing literature suggests that affective states (i.e. emotions or feelings in contrast to cognition) are both beneficial and biasing (3). In addition other research (4) found that anxiety and enthusiasm encourage more evaluation and consideration of political choices. Also that events such as the outcome of football matches (5) and the weather (6) can stir emotions and affect voting decisions. How does the electorate perceive the question? The ‘Yes’ camp frame the question as Scotland vs. Westminster and paint Westminster, and the likes of David Cameron, as the enemy. Meanwhile, the ‘Better Together’ team argue that the question is not about choosing between two states but about choosing between one or both. Though through the electorate’s eyes the spectrum of options from Scotland the brand to both Scottish and British brands is probably greater. Where perceptions lie is key to electoral success. What are the benefits of Scottish Independence? Establishing the benefits or disbenefits of Scottish independence is difficult as much is unknown. Financial management has been centre-stage, with the ‘Yes’ campaign playing up the benefits of the oil reserves. While ‘Better Together’ stress the ability of the UK to offer longer term financial stability. Both sides also espouse the benefits of their causes, and the negatives of the other. The ‘Yes’ campaign manifesto offers a costed and credible plan though ‘Better Together’ disagree. At the most rational level, some studies have shown that voters will vote for what they do not want to lose, as much as what they hope to gain (7). Which is why spreading fear, uncertainty and doubt is a strategy employed by both sides to ‘diss’ the other. Our experience is that emotional arguments are more likely to hold sway. These are more deep-rooted than price/value arguments. For example, at the most simple level, Scottish independence gives Scotland greater control. Thus the challenge for the ’Yes’ campaign is to make this a meaningful benefit and convince the electorate that they can be relied on if granted ‘more’ control. A distinctive Scottish voice or personality is another feature of independent Scotland. Though the challenge is to make this compelling. Historical ‘Scottishness’ is reasonably clear (Burns, bagpipes, whisky, golf, scenery etc.) though future ‘Scottishness’ is harder to comprehend. A lot of effort has gone into defining Scotland the brand (8) and promoting Scottish iconography. The Saltire, for example, is more ubiquitous in Scotland, than the flag of St. George in England. It is possible that a a distinctive Scottish voice could raise Scotland’s profile and status on the world stage. It could also raise self esteem. All are powerful emotional benefits. Scots, and all things Scottish instill pride in being Scottish as much as the white rose, Yorkshire County Cricket Club, and Yorkshire Dales instill pride in Yorkshire folk. Pride is a powerful emotional benefit and is rooted in history as well as personal experiences. However, the key issue is whether voters prefer Scottishness over Britishness or the best of both. The concept is ‘Britishness’ is harder to define. However, the Prime Minister recently attempted to do so (9), and the London 2012 opening ceremony illustrates some elements. The latest opinion polls give an up-to-date glimpse of expressed voting intentions (10). 1. Brand promotion is a precursor to brand recognition and engagement. So use multiple means, and all available relationships to promote your logo in places where it has positive and credible associations. 2. Abstract ideas are hard to understand yet alone agree with. So clearly articulate goals to tangibilise an idea and foster support. 3. Persuasion requires the winning of hearts and minds. Though different customer segments have different agendas. Some will be more cerebral, some more sophisticated, and some more emotional or cost driven. However by understanding the needs, and hot buttons of all, it is easier to devise messages and policies that both resonate and persuade. And also avoid alienating. 4. For brands competing in high risk and high reward markets, be ready for ever-increasing scrutiny and challenge. 5. And what’s our opinion? The man with the best plan may or may not win. So as emotional benefits will hold sway a brand strategy is essential. Therefore, in the run up to, during and beyond the Glasgow 2014 Commonwealth Games expect even more emotion! In conclusion, if the ‘ayes’ win, we’ll be sad to lose our Scottish cousins. (8) Scotland the brand aims and characteristics. (9) Cameron, D. Stop being bashful about Britishness, June 15 2014, Mail on Sunday, as reported by the BBC. (10) Opinion Polling for the Scottish Independence Referendum 2014. Wikipedia. On 19th September Scotland decided. 55% voted to ‘no’ to independence and ‘yes’ to remaining part of the UK. What more can be learned? The enormous and unprecedented turnout (85%) shows that the issues have engaged the whole population. Though the ‘no’ arguments resonated more than those of the ‘yeses’. And appealed most to the more upscale demographics, border counties and remote islands. The ‘yes’ strategy was clever. It started with defining the question. ‘Should Scotland be an independent country?’ Yes or no? This forced the ‘no’ campaign into negative messaging for which they were much criticised. And in the land of marketing it is usually benefits that are more persuasive than avoiding disbenefits. 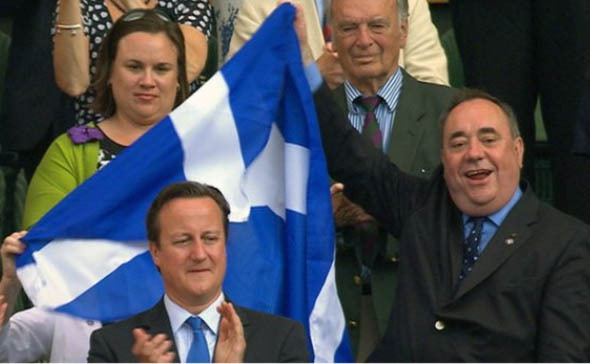 The timing of the referendum was also clever – post Glasgow 2014 and the accompanying wave of ‘feel-good’. The content and tone of the ‘yes’ campaign was distinctive though reliant on more ‘emotion’. The message of hope, self determination, and change for the better, appears undone by the more flaky logic. The ‘yeses’ strategy to create an enemy (‘the Westminster elite’), which has worked for challenger brands such as Virgin, failed to connect (probably being seen as unduly xenophobic). Businesses, academics, celebrities and parties of all colours became more vociferous as the campaign wore on – revealing the £1,600 extra cost per Scot of independence. The majority of Scots, along with the 70% of other UK citizens, agree that we are better as a United Kingdom. A union that feels part of us all. A marriage that has lasted 307 years requires more than emotion to tear asunder. It is also worth a premium and worth fighting for.